The Internet is a huge world in itself and it is possible to get busy in a lot of ways in this world. Students can surf for their school or college assignments, men and women can buy clothes and groceries and even inspect the stock market. But not all things people do on the Internet are good. Along with all the good things the Internet offers to children – including studying tips, a world of information as well as healthy entertainment – there are many offerings that can spoil your child forever. The social media, for instance, has a lot of harmful aspects to it. Your children can come into contact with the wrong sort of people via social networking websites who can influence them and their personality development in ways you do not want. People with fake identities are also something you want your children to stay away from. Furthermore, there is a lot of harmful media, such as videos with explicit content, or graphic imagery, which is easily available on the Internet – and within your child’s access – that you do not want them to come into contact with. So what can you do? You cannot altogether deprive them of this modern utility that can aid their learning in many ways and keep them in touch with the world. This would simply stunt their growth. What you can – and should – do, on the other hand, is supervise their Internet usage. TheOneSpy can help you do that effectively and efficiently. All you have to do is purchase a license with TheOneSpy and install it onto your child’s cellphone or tablet. TheOneSpy would extract all the information on your child’s device, including the details of their browser usage, and send it to a web portal, called the dashboard, which only you can access. Once you log onto your dashboard, you can view and scrutinize all the information our software has extracted from your child’s device. This way, you can find out which websites your child visits and what he or she downloads off of the Internet. You can even find out which pages they have bookmarked as well as their browser usage history. TheOneSpy offers the complete monitoring experience to you, so that you can supervise your children’s internet activities without making them feel like their space is being invaded. So why not get a license today? 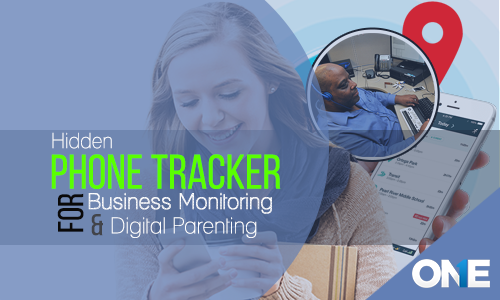 Mobile Browser monitoring software to keep an eye on kids and teens cell phone browsing history. install TheOneSpy onto your child's cell phone or tablet and get all the information on your child's device, including the details of their browser usage. Previous post Why Employers Need to Monitor Employee Data? Next post Why You Need to Monitor Their Calls?